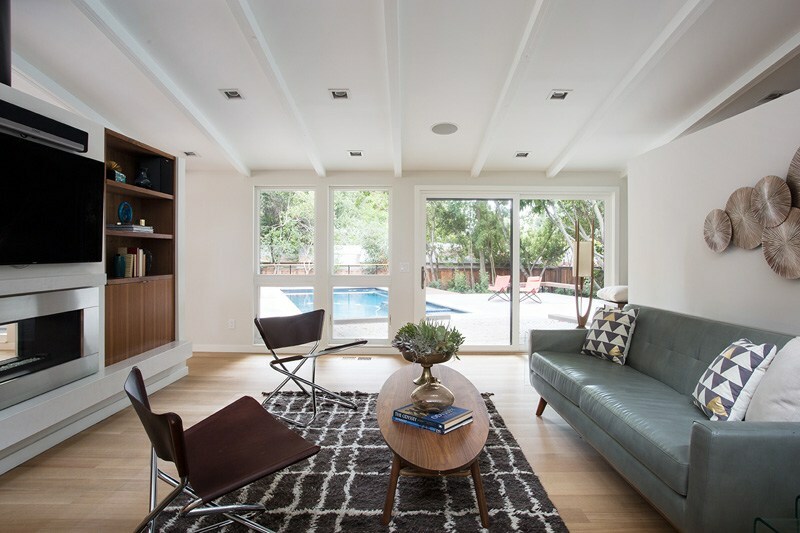 San Francisco-based Klopf Architects teamed up with landscape architects Envision Landscape Studios to provide a contemporary upgrade for a mid-century family home in Lafayette, California. 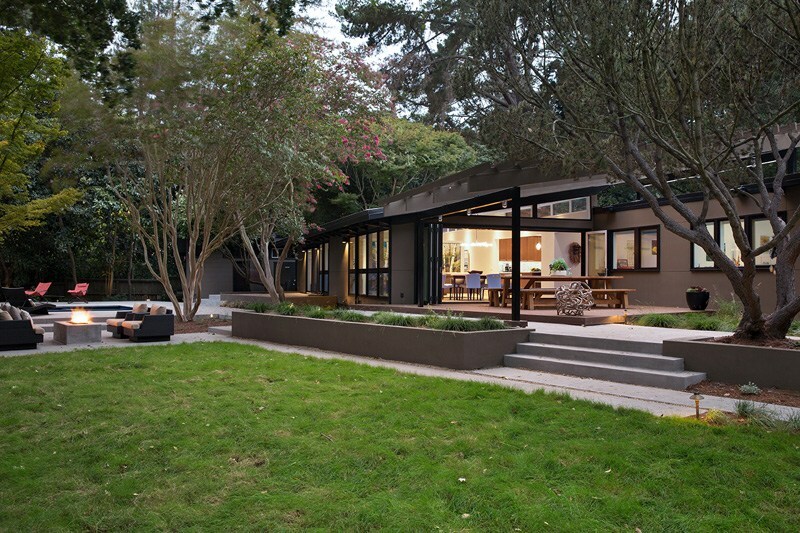 As a city noted for its picturesque rolling hills, the designers wanted to embrace an outdoor living space that would naturally integrate with the rest of the house. 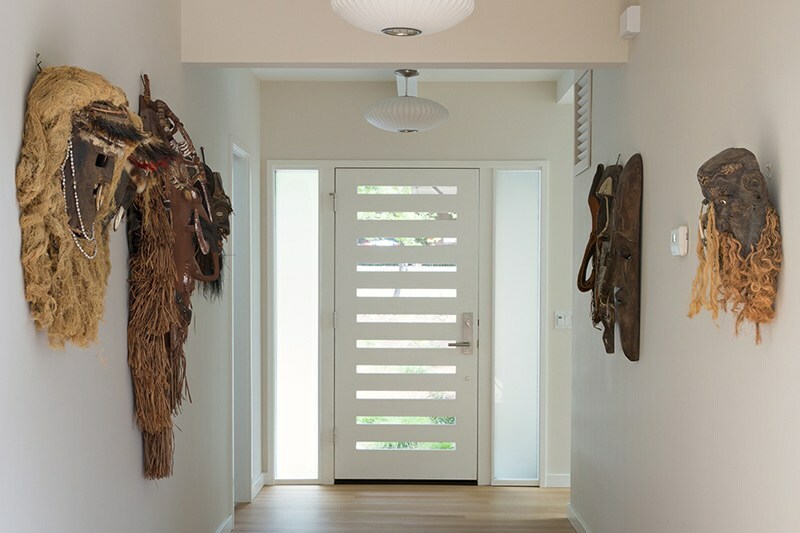 In order to achieve this, the house adopted an open floor plan, minimizing walls and utilizing a folding door unit to access the outdoor deck. The continuation of the wooden floors from the interior to exterior allowed a seamless flow between the living and dining room to the outdoor living space. 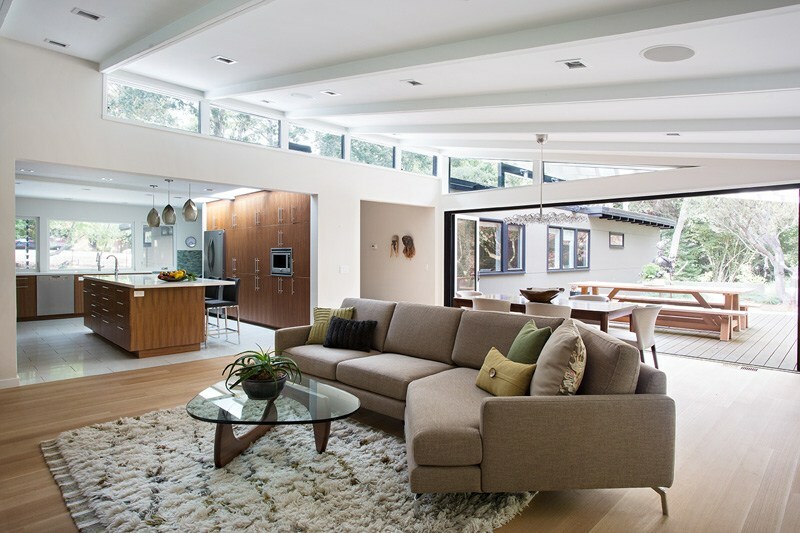 In addition, the architects built a sloped roof to allow natural lighting into the living room, along with oversized windows to give access to the pool and yard. 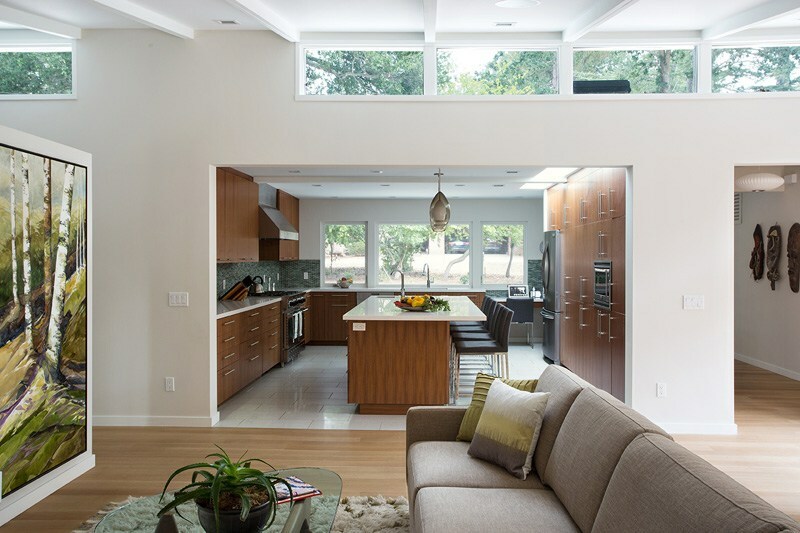 The spacious cook’s kitchen is open to the rest of the house, adjoined with a row of skylights and an eat-in design. 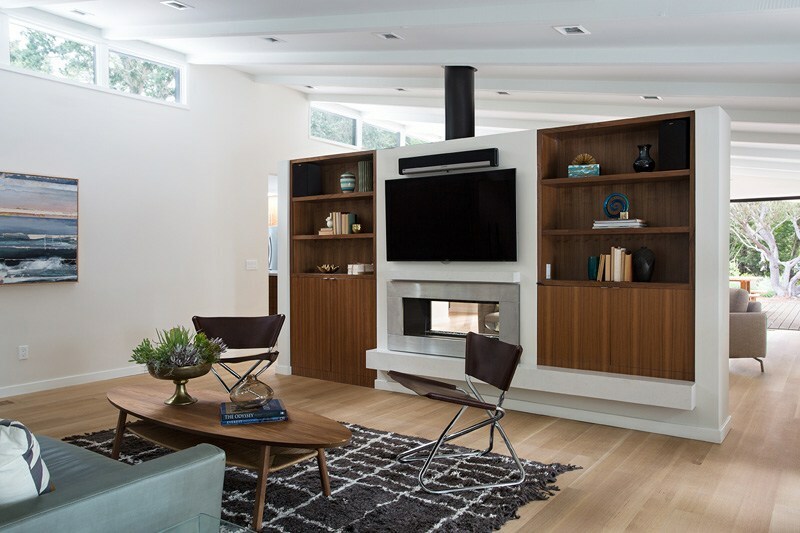 The living room’s use of room dividers instead of walls to separate the media center made way for a fireplace without compromising the free-flowing design between the different zones of the house.